This is the most recent information about King Curtis that has been submitted to amIright. 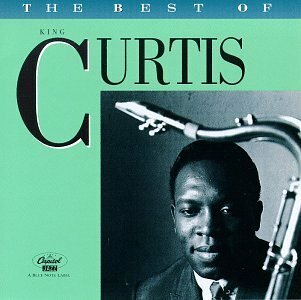 If we have more information about King Curtis, then we provide a link to the section where it appears (the actual page whenever possible). "Do The Money" originally "Do The Monkey"
"Dot The Monkey" originally "Do The Monkey"
"Don The Monkey" originally "Do The Monkey"
"Sour Serenade" originally "Soul Serenade"
"Foul Serenade" originally "Soul Serenade"
"Soil Serenade" originally "Soul Serenade"
"Soup Serenade" originally "Soul Serenade"
"Do The Donkey" originally "Do The Monkey"
There are additional King Curtis Combined Groups that haven't been done yet available.